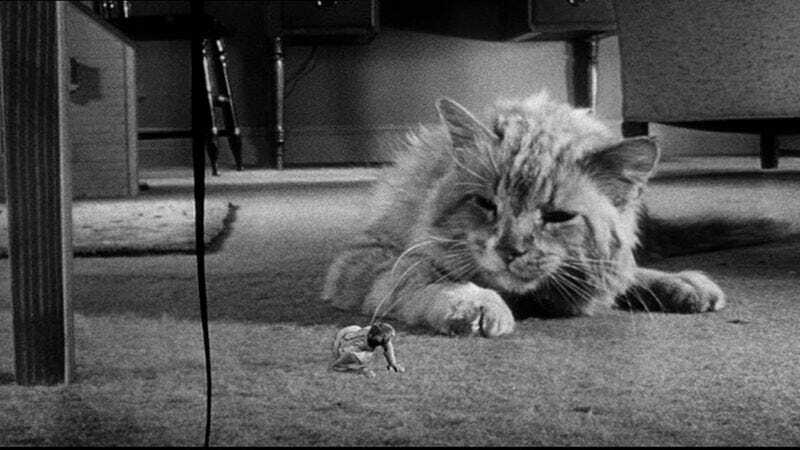 Hoping to shake up a moribund movie industry that continues to crank out monotonous films about people of tiresomely average height, MGM has announced it will update Richard Matheson’s classic sci-fi novel The Shrinking Man for its modern, boringly normal-sized audience. Matheson himself will act as producer on the project, co-writing a screenplay with son Richard Matheson Jr. that he describes as “an existential action movie,” one that touches on the book’s original “metaphor for how man’s place in the world was diminishing,” but juxtaposed against contemporary advancements like nanotechnology and, say, the terrifying threat of Roombas. It aims to be the first, non-comedic take on the premise since 1957’s The Incredible Shrinking Man—an adaptation that left the story rights tangled up at Universal until very recently—and, with Marvel’s Ant-Man, maybe even revive a “people who are very small” trend not seen since the ‘80s-‘90s boom of The Incredible Shrinking Woman, Honey I Shrunk The Kids, “Tiny Elvis,” etc. Until then, you’ll just have to contend with the tedium of your own dull, properly proportioned lives, knowing you'll never be able to climb a telephone or use a cotton ball as your bed, as your tears pool like disgusting lakes on your giant faces.